In the summer of 2002, Chaz Southard was like most new graduates. Having recently completed his degree in Environmental Affairs at the University of New Hampshire, he was looking for jobs in this field and enjoying his summer vacation to the fullest before entering the working world. That summer, the native New Englander was living on Plum Island, off the North shore of Massachusetts, enjoying the surf and sunny beaches. It was on this island where Southard’s life changed forever. After a morning of surfing, he waded back into the water for a quick swim. As he dove into one of the oncoming swells, Southard was knocked down by a ferocious undertow, hit his head on a sand bar, and lost nearly all feeling below his neck. Southard spent the next year in and out of hospitals. He started in the Boston Medical Centre, then the Craig Hospital in Colorado, and finally the Shepherd Center in Atlanta. The free-spirited, outdoor-loving Southard had to learn a whole new way of living. He quickly discovered the lack of accessibility to some of the restaurants, theaters, and shops where he lived. 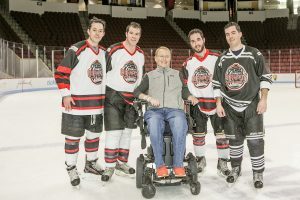 He faced regular pain and infections, debilitating medical expenses, and inability to participate in many of the sport and social activities that he loved. Southard focused on new goals of feeding himself, relearning how to use a computer, and operating an electric wheelchair. Over time, Southard discovered new passions and ways to enjoy the outdoors again. He learned to paint, began meditating, visiting local bird sanctuaries, and seeking out wheelchair accessible trails. He also looks forward to jazz concerts and Red Sox games several times a year. Anyone who has a chance to speak with Southard cannot help being inspired by his will, independence, and achievements. In 2005, he got involved in political advocacy in support of the Christopher and Dana Reeve Paralysis Act. Signed into law on March 20, 2009, the bill dedicates $300 million over three years at the National Institutes of Health to research paralysis and expand activities at the NIH to improve the quality of life for those living with paralysis. This work sparked his interest in social work and Southard decided to go back to college, where he is currently working toward his master’s degree in psychology. He plans to one day open his own private practice focused on holistic mental health care. Southard has received two grants from the foundation since his accident. The first grant, received back in 2002, was for a standing frame which helps build bone density, improve circulation, and reduce muscle spasms. More recently, Southard received a $5,000 grant for an e-motion wheelchair. The e-motion wheels will allow him much greater mobility than his electric chair. “Even though I am paralysed,” Southard said, “mentally I prefer to move around and the e-motion wheels will help me do that much more easily.” It has a small turning radius which will particularly help him at school, where he has difficulty manoeuvring in elevators and other small spaces. The new chair will also be less bulky and he can control the height at tables, so he is able to integrate more easily in social settings. 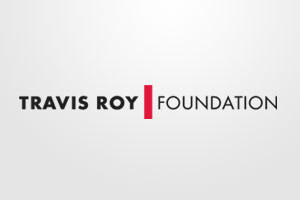 Access to adaptive equipment through the Travis Roy Foundation has improved Southard’s health and enabled him to lead a better quality of life as he works toward his new goals. “I try to keep myself in the best shape as possible, with the hope that one day I will be both physically and financially independent,” Southard said.